In the quarterfinals of the tournament, we have the opportunity today to enjoy the tight race between the basketball school of Serbia against the strong Brazilian team at 19.00. 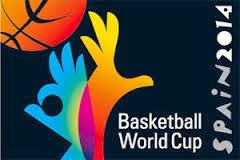 The last pair claiming a place in the final four, is between the athletic French team and hostess Spain at 23.00. The games are knock-out and the effort of the players and the show is breathtaking!